Happy Thanksgiving and a Merry Christmas to you and your family!! Congratulations on being a blog of note! Congrats on BoN! 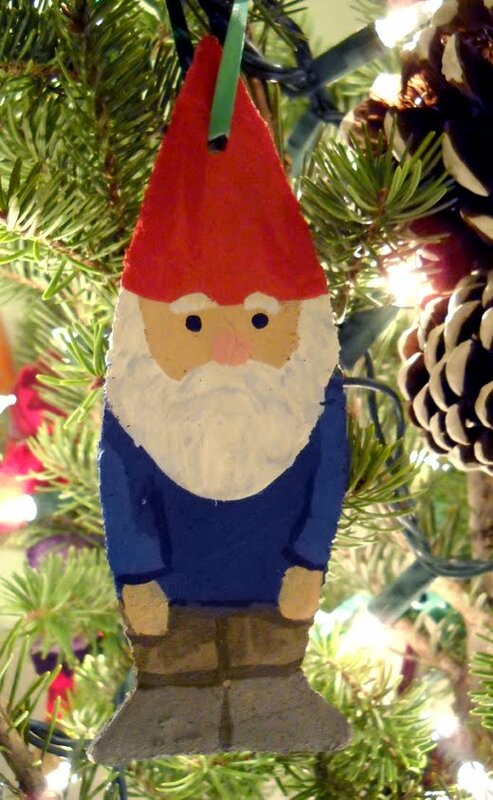 Nice looking Christmas gnome. I really like miniatures so I will checking out the rest of your blog. Awesome! Love these little fellows. Do you think you could post the recipe for the dough? Eli, if you click the link in my post it takes you to my wife's blog. She has her corn starch dough recipe and the book that contained the original wheat salt dough recipe. Sorry about that, for some reason I wasn't getting a link there and thought it was just bolded. Congrats on being Notable, Andy! Nice Danish Christmas gnome ! Nice blog......nice collection of miniatures. Above all, congratulations to be "Blog of Note"
What an appealing little fellow ! Great minitures - congrats on your Blog of Note-ness! Nice site and design! Quite useful article.. I just discovered your blog through the "Blogs of Note," and I'm already a fan. My grandfather was really into miniatures, so I'm glad to have stumbled across your blog. Congrats on noteworthyness. Loving the nisse. Congrates on being a blog of note! Nice blog! Congrats on the Blogs of Note. I used to have a 'nisse' statue, but I lost it recently during a move. I'll have to try making some of those salt dough gnomes, though. Thanks for the information! I love European history! Congrats! That's a great achievement. Keep up the good work, I love your blog. This blog is really nice and nice collection of miniaturs also..
cute little Santa out there.. anyway the owner of this blog are very creative. love your blog. Blog of note. You deserve it. Well done. We know them as Pippie langkouse in afrikaans. Nice post and really interesting. Congratulations on being a "Blog of Note!" Your miniture painting is remarkable. My wife used to build doll houses, and make her own miniature furniture and such. She loved doing that. Salt dough is the win. Also, ever played any Warhammer?